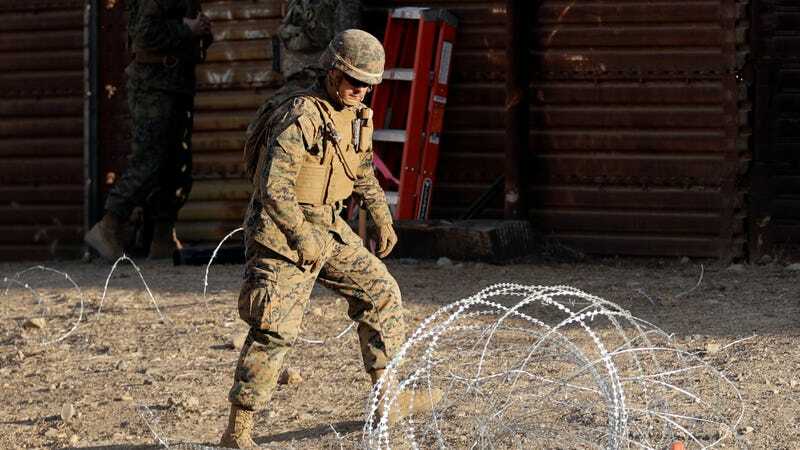 Weeks after Trump riled up racists with jingoist rally rhetoric warning against “invasive” migrant caravans, the troops stationed at the border are housed in tents that sleep 20 soldiers with no air-conditioning and limited electricity. The mission, which was called Operation Faithful Patriot until the Pentagon stepped in and canned the title, has also put Trump further at odds with Defense Secretary Jim Mattis. Mattis, who Trump publicly accused of “being a Democrat” last month, has been a longstanding proponent of distancing the military from political theater. Recently, Mattis was responsible for rejecting White House requests that troops be armed and ready for confrontation with the migrants. Active-duty troops haven’t been sent to the border since the 1980s, when they were deployed to assist in counternarcotics missions.